The star of the hit TLC series ‘Cake Boss,’ Master Baker Buddy Valastro, opens his first restaurant, Buddy V’s, at The Venetian Las Vegas this fall. Partnering with veteran restaurateurs Elizabeth Blau and Kim Canteenwalla, Buddy V’s is inspired by Valastro’s family gatherings and the beloved recipes passed down by his mother, grandmother, and aunts. Buddy V’s is the first restaurant venture for the internationally renowned baker known for his ebullient personality and intricate custom cakes. 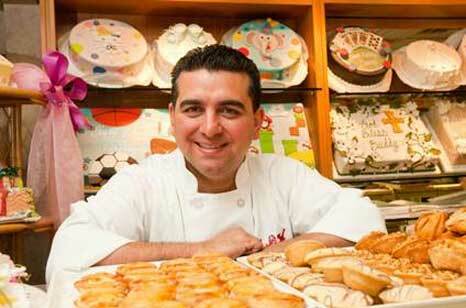 “People always just think of me as a baker, but beyond the bakery, food has always been at the center of my family’s life,” says Valastro. The menu at Buddy V’s will offer new twists on Italian-American classics, as well as Valastro family favorites like Sunday Gravy; Steak Pizzaiola and Lisa’s Linguine and Clams with Lobster. Staying true to Buddy’s baking roots, Buddy V’s will also boast an impressive dessert selection of timeless treats such as Zeppole, Cannoli, and the world famous Lobster Tail Pastry. A partnership with Blau and Canteenwalla, hospitality visionaries widely credited at the center of Las Vegas’ transformation into the world-class culinary destination it is today, lends the creative and operational support system needed to ensure Buddy V’s is the talk of the town. “We’ve been friends with and fans of Buddy for a long time so we are excited to be partnering with him to help bring his vision to life,” says Blau. Housed within the luxurious Venetian Las Vegas and conveniently located adjacent to Barney’s New York, Buddy V’s will occupy 11,000 square feet and offer commanding Strip views in a beautiful room designed by New York based firm, Celano Design.